Would the Lions have won if Sean O'Brien had been sent off? All Black supporters have been calling for a close series ever since the Lions tour started with a shaky victory over a second division Barbarians side. Now they have it. The Lions responded to the challenge of trying to stay alive in the series with a ferocity in the forwards and high skills in the backs, especially from Conor Murray, Owen Farrell and Jonathan Davies, in rainy, slippery conditions that made attacking play high risk for the attackers. The cool skill of these backs lifted their side to heights of combativeness and will-power not seen in New Zealand by a Lions side since the glory days of the 1971 Lions, one of the greatest teams, along with the 1937 Springboks, to tour New Zealand. In contrast to the Eden Park Test, the Lions took their chances to score and the All Blacks did not take theirs. Beauden Barrett missing three penalties from an easy angle or in front of the posts, admittedly around the 35m to 40m range, was decisive in the end. 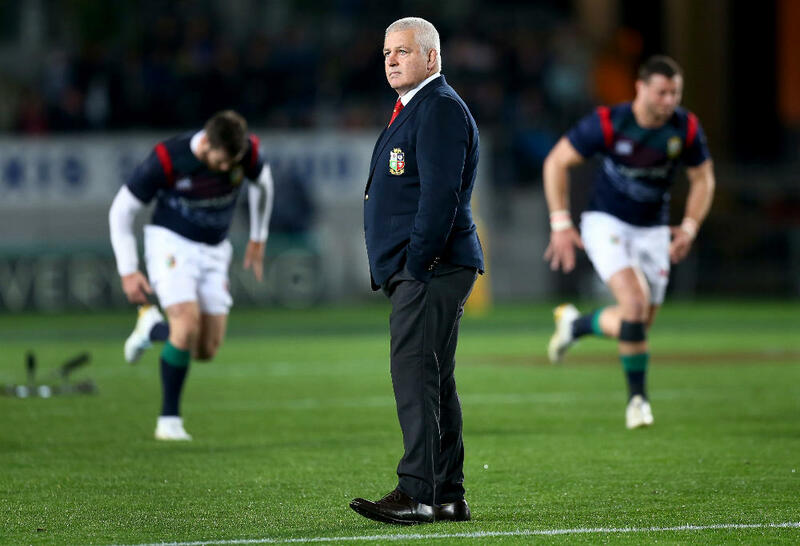 Warren Gatland, the Lions coach, as he did in Australia before the third and deciding Test against the Wallabies in 2013, made a couple of crucial changes to his side. The most important of these changes was bringing back the tour captain Sam Warburton, as a starting player. Warburton exercised his referee-whispering skills superbly to stay on side with the ref, Jerome Garces, even though his side conceded 13 penalties to the All Blacks’ eight, with ten of those in goal-kicking range for the home side. This ability of Warburton to charm and convince Garces that the offsides, head-high and late tackles by the Lions were all somehow accidental saved the Lions playing 25 minutes with Mako Vunipola off the field with a red card rather than a yellow, and ten minutes or more with Sean O’Brien in the naughty chair for what should have been seen as an obvious smack to the head of Waisake Naholo and a certain yellow card and even a possible red card. The hit on Naholo came 19 minutes into the second half from a Lions kick-off, which Naholo caught. The All Blacks were dominant since the start of the second half, even though they were playing with 14 men. Playing against 14 Lions rather than 15 might have enabled them to create an unassailable lead. O’Brien’s head high slap which forced Naholo’s head to bang into the ground should have been picked up for a tough punishment by both the referee and the TMO George Ayoud because Naholo stayed on the ground after play moved on from the ensuing ruck. On Sunday morning, the Citing Commissioner announced that O’Brien was to face a charge, under the 10.4 (a) swinging arm offence, before the disciplinary commission. The tackle reached a “red card threshold,” according to the commissioner. While O’Brien was eventually cleared, how he wasn’t even given a yellow card under these circumstances is hard to understand. If O’Brien had been given, say, a yellow card rather than just incurring a penalty, the Lions would have had 13 men on the field for about seven minutes or so. Would Toby Faletau have scored his try, which included a nice run and pass from O’Brien in its build-up, not long after the incident that the Citing Commissioner looked at? You would have to say that if O’Brien had been sent from the field with either a a yellow or red card, the Lions could not have won the Test. Jerome Garces also seemed to be reluctant to give a yellow card to the Wellington-born Lions prop Mako Vunipola for a second (obvious?) late tackle on Beauden Barrett, before being convinced by George Ayoub. 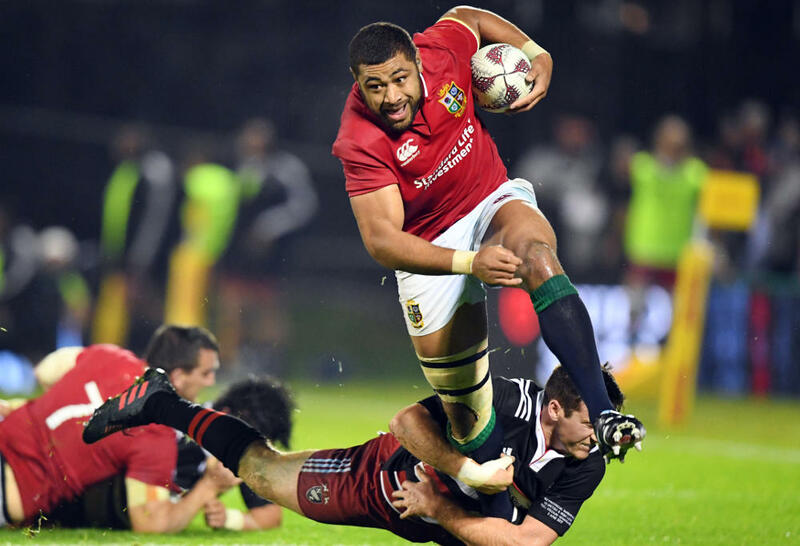 This incident in the 55th minute of the Test, with Vunipola sitting in the naughty chair, somehow sparked the Lions into getting their running game into action. They scored two late tries after this. Then with 15 players on the field from the 65th minute to the 14 All Blacks, the Lions finally cashed in on their numerical advantage and were able to catch up and then overtake the All Blacks on the score board. None of this should be read as somehow criticising the decision of Jerome Garces to give a red card to Sonny Bill Williams for his shoulder to the head of the dangerous Lions winger Anthony Watson. At the time of the incident, the Williams charge seemed to be a nothing event. Play went on. Jerome Garces did not seem to see how damaging Sonny Bill’s charge really was. 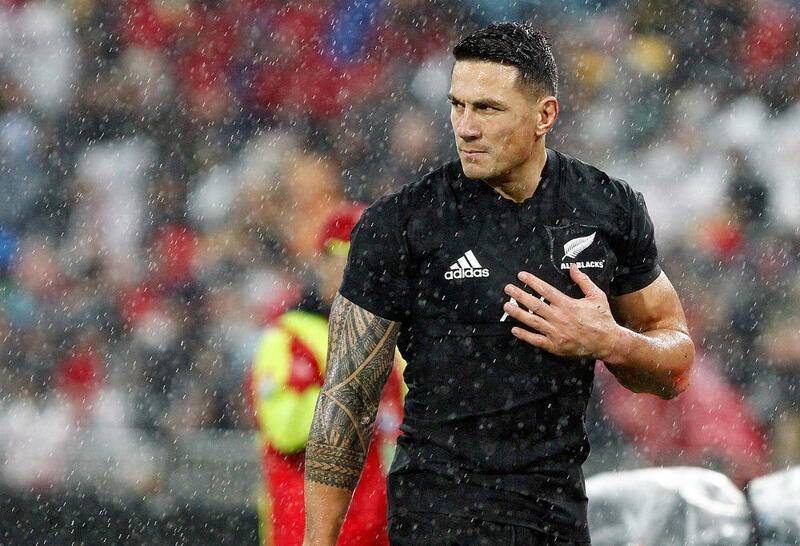 Photos of the Sonny Bill Williams hit and slow-motion video show clearly that the impact was severe and obviously to the face. The red card, unfortunately for Sonny Bill, was a fair call. I say “unfortunately” because I do not regard him as a dirty player. He is not. But he is a player who has a problem getting the shoulder charge tackle, a normal tackle in his rugby league days, out of his rugby play. I noticed, for instance, in the first Test at Eden Park that Sonny Bill was inclined to charge into rucks with his leading shoulder and no arms, rather like a builder smacking home the final smash to embed a nail into block of wood. Given all the (necessary) protocols now in rugby about hits to the head, Sonny Bill has to get this shoulder charge tendency out of his game. Whether he can do this is going to be a test as to whether he can continue to be a dominant Test player for the All Blacks. The irony about the shoulder charge is that tacklers are not allowed to do it on ball carriers but ball-carriers are allowed do it on tacklers. Further to this irony, Sonny Bill Williams was replaced by another former rugby league player, Ngani Laumape, who is the leading proponent of the ball carrier, leading with his shoulder, as a battering ram attacker. Despite conceding too many penalties, 13 to eight by the All Blacks, it was the Lions’ defence that really won the Test for the side. They kept to the All Blacks to just one clean break for the entire match to their six. They allowed the All Blacks only four offloads to their own eight. The All Blacks were forced to make 34 kicks to the 25 by the Lions. No one predicted these sort of statistics to come out of the Wellington Test. It is a credit to the players and the coaching staff that the Lions turned matters around from the Auckland Test in a week. The loss by the All Blacks was their first in 48 home Tests. It was also their first no-try loss in a Test since 1998. The first time a difficult mountain is climbed is always the most difficult success to achieve. The Lions go into Eden Park at Auckland knowing that the mountain of unbeaten Tests by the All Blacks in New Zealand has finally been achieved. This is, also, the first Test win by the Lions in New Zealand since 1993. But there are, however, still a couple unclimbed mountains ahead of them to conquer. The Lions have never won a Test at Eden Park. Even the great 1971 side had to settle with a draw, thanks to an unlikely dropped goal by fullback JPR Williams, to win the series with two Test wins, a loss to the All Blacks and a draw. There is, also, the fact that we have to go back 19 years for back-to-back losses by the All Blacks. So there is history to be made by the Lions next weekend. In 12 previous on tour attempts the Lions have knocked the All Blacks off their perch only one time. Now on their 13th tour they have a chance to go down in history with the 1971 British and Irish Lions as series winners in New Zealand.